We are proud to be a second generation, family-owned business that treats our clients the way we'd like to be treated. With nearly 4 decades of expertise under our belts, we pride ourselves on the quality of work we provide to our clients. We can promise quality and deliver consistency and reliability because we refuse to sub-contract our work. Spearheaded by a husband and wife team, Decker Concrete has been keeping clients happy since 1979. 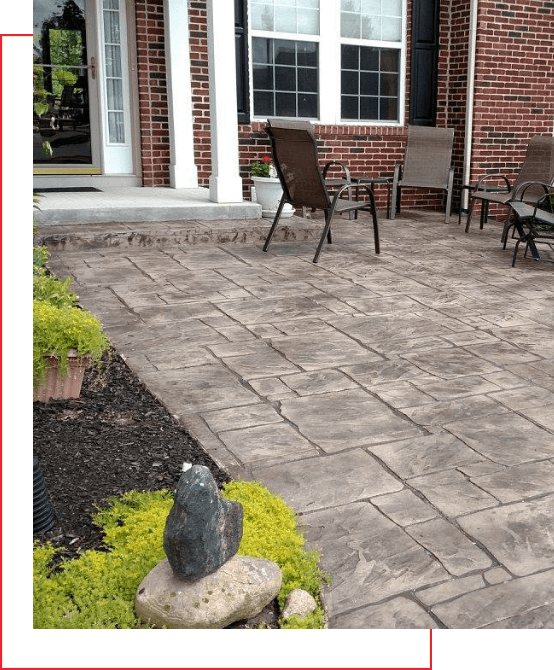 With quality and integrity top-of-mind, they keep up with the latest trends, techniques and technologies available to give your home beautiful decorative concrete patios, walkways, driveways, fire pits, seating walls and much more! "It doesn't matter if it's a $100,000 home or a 10 million dollar home -- we offer the same, high quality workmanship that we would on our own home!" Answer a few questions about your dream concrete project and let's get started!